Passion � Fire � Vitality! This red silk shines like a ruby, shimmering with tones of scarlet, blood-red, and ripe cherries. If you're a fire sign, need more energy or passion in your life, or just love the color red, this bag is for you! 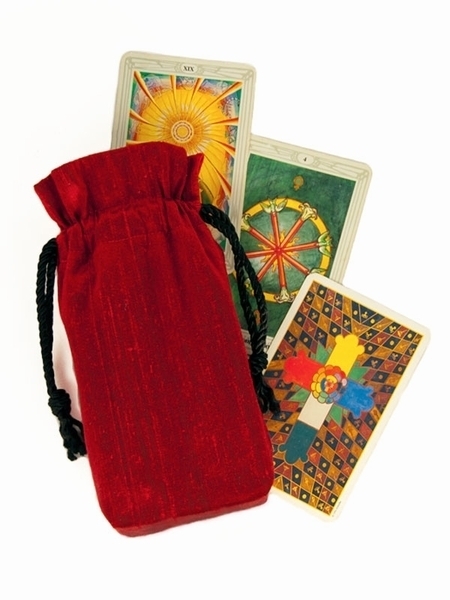 Our Ruby Silk Double Draw bag will inject warm, radiant energy into your cards, giving your readings more vibrancy and life.